*** This post was created in partnership with Asurion, but all thoughts are my own.Content or other value provided by Asurion, personal images copyright Momma Told Me Blog 2013. Momma Told Me: Don't let fear ruin your fun. Between Jay and I it's a miracle we aren't over our heads in debt. These days it seems like the more expensive device you buy, the more risk you are taking financially. With all of the fancy automated technological gadgets, the more screen protectors, extended warranties, specialized cases, and instructional classes are needed to simply operate them. The modern cell phone handset retails for $450 today; and, with the recent switch to contract free service plans, that's often out of pocket up front. I don't tote my personal laptop around, so why would I do that with a cellphone of nearly the same value? We have been conditioned to overlook the practicality of such heavy usage, and the risks involved with constant mobility of such a device, in exchange for the amount of convenience these phones offer (size, speed, connectivity)- but that doesn't change the fact that the modern smartphone is a major financial investment for the average consumer. Just this year Jay misplaced his wallet for nearly 2 weeks; we considered it long and gone, replacing IDs and cutting financial losses with gift cards and cash, until it was found wedged between the dresser and our bed. Late last year he also walked out of a very crowded Punk Rock Bowling tournament without his phone, which has been, presumably safely, resting in his pocket the entire time. Unfortunately, on a pre-paid plan, and never to be seen again, Jay was out of pocket several hundred dollars and left phone-less until he could afford a new handset. On a daily basis Sabrina (10) walks into walls, trips flat on her face, and plays with yo-yos inches from our flat screen. We leave pizzas on top of car roofs, sunglasses on fast food counters, and personal items in hotel rooms while on vacation. In our household we have 3 tablets, 2 laptops, 2 digital cameras, 2 smartphones, and 1 basic cellphone. We are your average American family. I freely admit I'm a worrywart. I panic over any and everything. I'm a sufficiently over-cautious driver (and yes that can cause issues of it's own), I always try to have back up contingencies, and on any given day I'll tell you I'm going to die of something I shouldn't have eaten. (Hey, I never said I was perfect!) But living your life in fear of the worst case scenario is no way to live at all. As licensed drivers we are required to carry insurance for our vehicles, primarily because the operation of such can result in property damage and injury to others. Then there's dental, vision, medical, and homeowner's insurance; all optional in most cases. But how do you ensure your Summer isn't ruined by the simple act of having fun? Do you leave your iPhone at home? I truly doubt that. Are you buying $50 waterproof baggies to store your tech in, while out exploring? And what do you do if someone with sticky hands decided to slip that new Google Tab out of your purse while you're grabbing soft serve at the pier? Mobile insurance covers just about anybody from just about any mobile device relate catastrophe. Just like any other insurance policy customers pay a small monthly fee (in comparison to unit value), to add a little extra peace of mind while out kayaking and splashing in the waves. Asurion mobile insurance has over 150+ million customers with a business rating of 4.5/5, and is easily accessible online. Much like the insurance plans you'd purchase through your contract mobile phone provider, Asurion will cover most all cases of loss, theft, and accidental damage. That means no more rice bags! In some instances claimants have been able to have a replacement device in hand in as short as a 24 hour turn-around (depending on time and date of report), and that's priceless peace of mind when you're away from home. 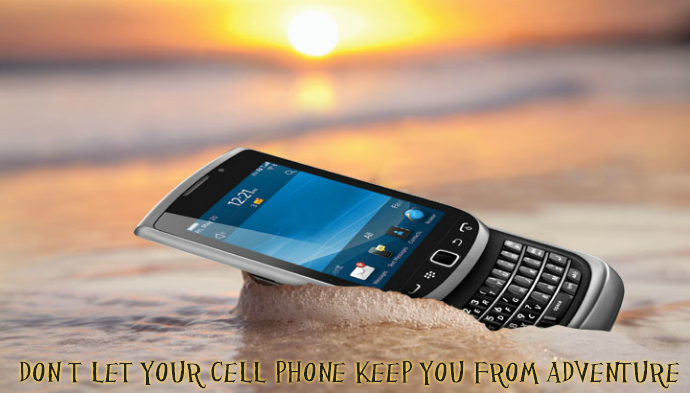 Don't let mobile catastrophe ruin your Summer, invest in mobile insurance. 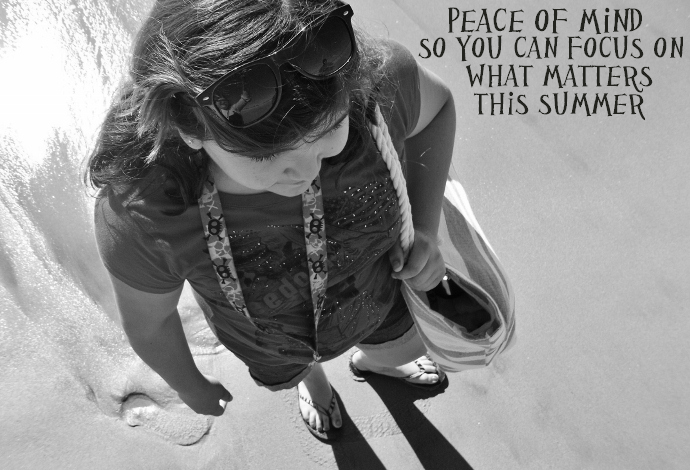 What Daughter Says: Keep your sanity in tact with the peace-of-mind of quality mobile insurance. I honestly never thought of mobile insurance. I can totally see how important it is though. I'd be devastated if anything happened to my phone. I never thought about having insurance for this, but honestly, it would be me or one of my kids that would destroy their phone on vacation. Honestly I wish I had this for my old phone! Our coverage company only has a 30 day warranty on their phones. if anything happens to it after 30 days you are out of luck and have to pay full price (around $500) for a new phone. I don't think so!! Anyway...my phone is on the fritz and I still have 6 months before I can upgrade to a new one. :( Mobile insurance sure would be nice right about now. I wish we had this for the hubby's cell. It's so cracked, it's a miracle that it's still working! Mobile insurance would be great!!!! I broke my phone after one month!!! This is one insurance that I would definitely consider. So many different things are covered. I should really get one, I am such a klutz. I have considered mobile insurance, but have not pulled the trigger yet. My hubby rides his bike to work with his phone so her really needs it! Hey - I must say, I am impressed with your website. I had no difficulty navigating through all the tabs and the information was really simple to access. I discovered what I wanted in no time at all. Truly awesome.